A true paradise, this spacious suite takes up half of the second floor. It includes a parlor, bedroom, full bath, and large balcony. 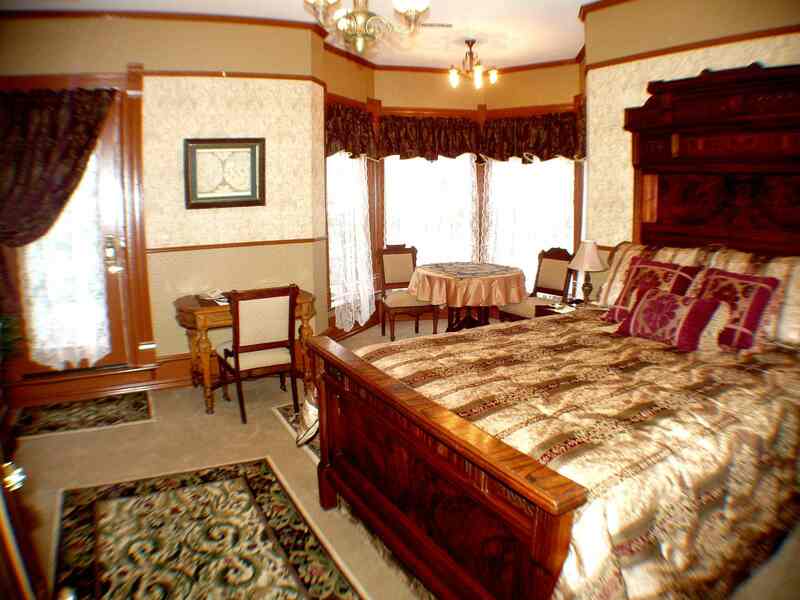 In the bedroom you can sleep in luxury on the grand queen size bed with its antique 6' walnut head board. Enjoy a quiet breakfast in the breakfast nook or listen to the birds sing on the balcony. 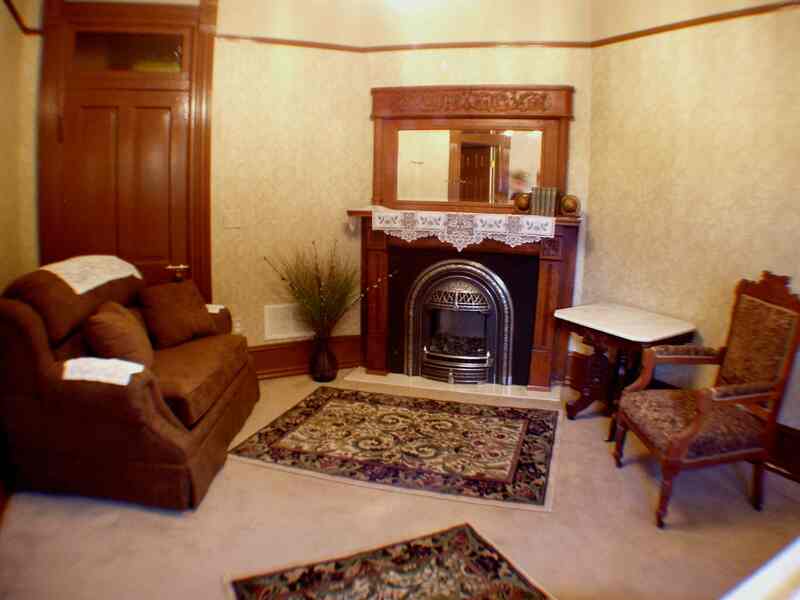 After having a relaxing time in the two person jacuzzi, curl up on the love seat in front of the antique fireplace. To book specials from the calendar, please call or note requested special in your reservation request on Webervations. Call at 719-544-5727.